*Authorized Clopay Dealer* Automatic Door Company, Inc., of Milford and Orange, CT has been family owned and operated since 1980. We have been serving New Haven and Fairfield Counties with garage door and opener sales, installations and repairs for over 35 years. We have offices in Milford, Orange, and Fairfield, CT. We reach New Haven and Fairfield counties with four fully equipped trucks on a daily basis to meet your service requests. We specialize in installing and repairing all makes and models of residential wood and steel insulated garage doors and electric garage door openers. This includes not only residential models, but commercial garage doors and motors as well. Affordable Doors & SAME DAY Expert Repairs! NJ’s Most Trusted Team for Garage, Entry, Storm & Patio doors! 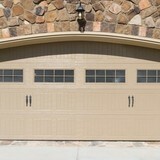 We stock multiple brands of garage door parts, openers & accessories for same day installation, replacement or repair. Multiple locations enable fast reliable service! Why TGS? -Easy scheduling -- phones open until 9PM -FREE service call with every repair -FREE in-home written estimates -In-home design consultation with innovative tools to visualize your project -All pricing includes materials, labor & installation – no hidden costs! -5 Minute finance approval - 0% interest options -Licensed, insured & bonded -Exclusive, risk-free guarantee [parts, price & workmanship] -We are door experts – It is ALL we do, not just one thing that we do! Our experience, exceptional customer service and & ability to deliver on-going value has made us the #1 door dealer in NJ for multiple manufacturers and earned us top ratings & awards with Angie’s List, Houzz & Home Advisor. Certified techs with fully stocked trucks enable same day appointments & repairs! Free design support including visualization tools included with your Free in-home Estimate! Call us today at 732-443-8585 to design the perfect garage door in real time! Exceptional Customer Service with a Smile! Garage doors and gates are valuable assets to a Halesite, NY home’s curb appeal, security system and storage needs, so when they need to be repaired, it’s always smart to hire a local garage door repair professional. A Halesite, NY garage door maintenance pro can fix a wide range of components, including exterior damage, parts, openers and weather sealing. 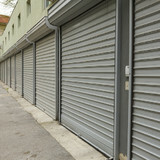 What types of garage door service tasks do contractors in Halesite, NY provide? 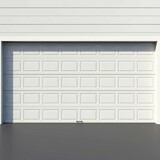 A damaged garage door can lead to increased security risk, ruined belongings and an unpleasant exterior, so look for Halesite, NY repair professionals who provide same-day or emergency services if the damage is extensive and poses a potential health and safety risk. Find Halesite, NY garage door repair professionals on Houzz. Narrow your search for garage door repair professionals by selecting the nearest city or zip code. Look at portfolio and product photos, and read reviews to find the best garage door contractors in Halesite, NY for your home.